We are driven to improve the customer experience, ensuring that our very first hospice client continues to realize the same attention to timely, quality-driven patient service, while our new customers feel the attention to detail and personal, executive touch that was lacking with their previous vendor.” The company recently added Scott Baach, as Chief Administrative Officer / General Counsel; Rushi Patel, as Chief Operating Officer, and promoted Betsy Rothley to Chief Development Officer, overseeing both Sales, as well as Account Management. These enhancements brought clarity and direction to an already robust customer acquisition/retention platform. Enclara understands the changing reimbursement climate that the hospice industry will soon be facing. In order to maneuver through these turbulent times, the Company has positioned itself as the only provider capable of offering a full scale comprehensive mail order model, a PBM supported local retail pharmacy model with a suite of “ala carte” comprehensive clinical services, or the “hybrid” model, offering a combination of comprehensive clinical services or the economical PBM adjudicating platform dependent on patient need. “2014 will pose new challenges to our hospice clients related to regulatory changes and potentially a more expanded interpretation of what medications are considered “related” to the terminal illness. Enclara is uniquely positioned to address these challenges and bringing solutions to our customers to allow them to manage in this new paradigm,” states Horowitz. “Managing drug costs while maintaining positive clinical outcomes, will only serve as a springboard to continued growth for Enclara. It’s how we built our business, we’re positioned to be the leader in this industry as hospice clients continue to look to us for solutions.” About Enclara Health Enclara Health supports their hospice partners through cost effective, clinical excellence in both mail order and local pharmacy access. Enclara, established in 2007, is committed to meeting the unique and changing needs of the hospice market and truly demonstrate that there is a difference in hospice pharmacy providers. In addition, with a focus towards continued innovation, growth and scale, Enclara made some executive leadership enhancements during the second half of the year. Andy Horowitz, CEO and Founder states, “We truly appreciate the confidence that our new clients have placed with us and are very proud to be a leading choice for hospice pharmacy services. Even though we are excited about our continued success, our sights are still focused on delivering exceptional value – the highest level of clinical guidance and support in medication management in the most cost effective manner. We are driven to improve the customer experience, ensuring that our very first hospice client continues to realize the same attention to timely, quality-driven patient service, while our new customers feel the attention to detail and personal, executive touch that was lacking with their previous vendor.” The company recently added Scott Baach, as Chief Administrative Officer / General Counsel; Rushi Patel, as Chief Operating Officer, and promoted Betsy Rothley to Chief Development Officer, overseeing both Sales, as well as Account Management. These enhancements brought clarity and direction to an already robust customer acquisition/retention platform. Enclara understands the changing reimbursement climate that the hospice industry will soon be facing. In order to maneuver through these turbulent times, the Company has positioned itself as the only provider capable of offering a full scale comprehensive mail order model, a PBM supported local retail pharmacy model with a suite of “ala carte” comprehensive clinical services, or the “hybrid” model, offering a combination of comprehensive clinical services or the economical PBM adjudicating platform dependent on patient need. “2014 will pose new challenges to our hospice clients related to regulatory changes and potentially a more expanded interpretation of what medications are considered “related” to the terminal illness. Enclara is uniquely positioned to address these challenges and bringing solutions to our customers to allow them to manage in this new paradigm,” states Horowitz. Our role is to make health care work for you. In addition, the AARP® Auto Insurance Program from The Hartford offers AARP members exceptional coverage features. When AARP members get an automobile insurance quote through All in One Insurance Group and buy insurance protection from The Hartford, they enjoy a comprehensive package of auto insurance benefits and services not found with most other providers. Best of all they have a local agency that is looking out for their best interest and have knowledgeable agents available to them. Go to our website at http://www.allinone- insurance-group.com to find out what we do and offer. All in One Insurance Group is a local insurance company that serves the Puget Sound and the State of Washington has been in business since August 2012. Doron Yaniv the owner has been in the insurance industry for the past 15 years. He has insured many individuals, families and businesses and has made sure that they have the right coverage’s in place to protect what matters the most to them. “It is always a good idea to get an annual cost comparison insurance quote to see if they are really getting a good deal with their current insurance company” Doron said. No Medical Exam Life Insurance Provides 3 Important Advantages! But, by applying for life insurance without medical examinations, clients will only need to complete a simple medical questionnaire. The simplified application process is advantageous for people who do not have a lot of free time or for those that need life coverage fast. It is also advantageous for seniors and people with health problems as they have higher chances of qualifying for a plan. A no medical exam life insurance plan is usually issued in less than 24 hours. “No medical exam life insurance is a type of life coverage specially designed for people who have a busy schedule and want to purchase a policy as easy as possible!” said Russell Rabichev, Marketing Director of Internet Marketing Company and Lifeinsurancebyrussell.com. 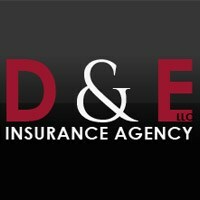 Lifeinsurancebyrussell.com is an online provider of life, home, health, and auto insurance quotes. It is unique that this website does not simply stick to one kind of insurance carrier, but brings the clients the best deals from many different online insurance carriers. This way, clients have offers from multiple carriers all in one place, this website. On this site, customers have access to quotes for insurance plans from various agencies, such as local or nationwide agencies, brand names insurance companies, etc. More liability, full coverage, modified and non owner plans are available for research online. “The size of our provider network is helping to provide better research to average Americans who are actively seeking to compare rates for insurance online in a single location,” said the source. The Auto Pros company is expected to continue its weekly updates to the price system announced for public use this year. As more providers are researched, these companies will be entered into the research system for instant access by motorists. A solution to find warranty agency policies was added in late 2013 and is now featuring top companies at http://autoprosusa.com/auto-warranty . About AutoProsUSA.com The AutoProsUSA.com company is one resource that consumers are using online to locate inexpensive pricing for vehicle insurance plans for the North American market. This company is one of the top automotive portals now distributing helpful information to car owners. The AutoProsUSA.com company service staff participate in the research for different automotive providers each day. The company database programs that consumers access each day are updated with the newly researched content by company staff. However, until the tech wizards of the world invent a working pair of Ruby slippers, the fastest safest way to get a sick or injured person back home is an air ambulance flight by Aeromedevac . And unlike those Ruby slippers that could only reach Kansas, Aeromedevac can now provide expert air ambulance service to any location in the world. Aeromedevac provides first class bed-to-bed services for patients who are injured or ill and need to be transported to their home areas or to US medical facilities for treatment quickly and safely. Aeromedevac has extended its flights throughout Mexico to provide peace of mind and speedy, professional transportation back to the United States in critical situations when lives are on the line. Aeromedevac’s more than two decades of providing medical flights throughout the US and internationally has established a stellar reputation as one of the leading evacuation services in the world. The service provides medical transportation for ill or injured individuals, family members, managed care companies, hospitals, military, and governmental embassies and agencies with its fleet of fixed wing flying ambulances. The San Diego based operation arranges ground transportation and delivers highly specialized care and necessary incidentals for successful transportation. Each plane is equipped similarly to an intensive care unit/emergency room, allowing specialized crews of registered nurses and critical care paramedics or other medical personnel to facilitate care for patients in need of urgent treatment, including organ transplants, cancer treatments, specialized surgery, burn care, advanced head trauma and spinal injuries, and other serious conditions that require expedited medial air ambulance transportation. 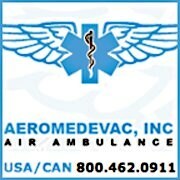 Full details of Aeromedevac’s services can be obtained on line at http://www.aeromedevac.com or by calling 619. Muskogee, OK (PRWEB) January 22, 2014 D & E Insurance Agency LLC has launched a new, intuitive website to better support customers in Muskogee and nearby cities, which you can now view at http://www.dandeins.com/ . The website was developed to be easy to navigate and contains various useful resources in order to make insurance simple, speedy and effective. Consumers can now access many features, as well as request free auto, home and life insurance quotes, from anywhere. These tools include making payments, requesting policy changes, filing claims and reading the useful content in our blog. The new site works to improve D & E Insurance Agency LLC’s reputation for offering affordable Tulsa auto insurance and great customer service. “The purpose of our new website is to make buying insurance simpler than ever, while upholding the personal flair of customer service,” said Erin Owens, co-owner of D & E Insurance Agency LLC. “We want our clients to feel confident in their familiarity of insurance topics and their choices when buying insurance policies. Our team of top-notch agents is there to offer support whenever possible.” By visiting http://www.dandeins.com/ , people can generally find the answers they seek about auto, home, life insurance and other regularly asked questions without waiting for business hours. However, human communication cannot be replaced and educated agents are still available to provide assistance.